This new process of manufacturing oﬀers a maximum spinal support as well as eliminating rolling together so that you and your partner can receive a well rested and undisturbed night’s sleep. 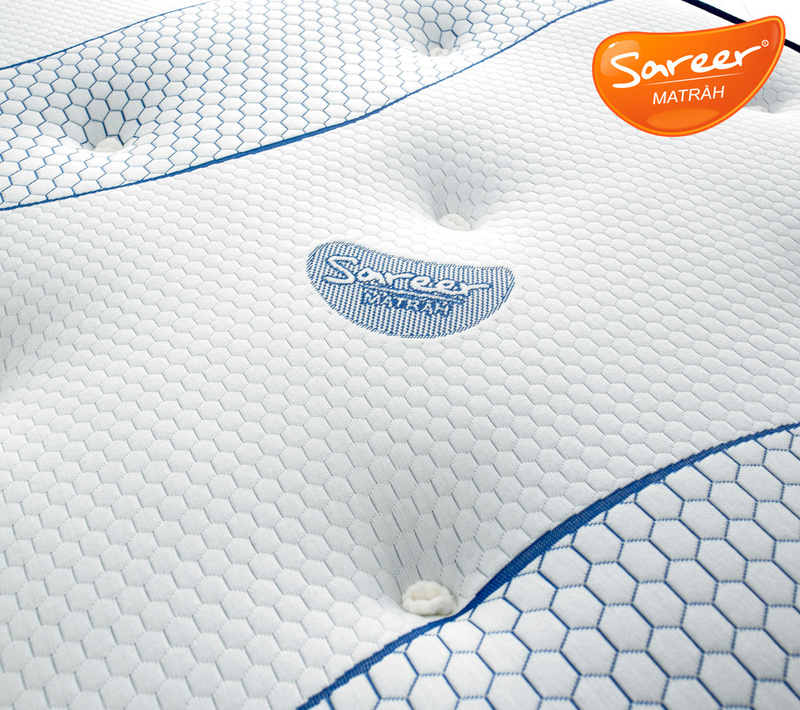 The Cool Blue Memory Coil Matrah has excellent heat reduction and breathable properties allowing the mattress to breathe and keep fresh, it is also hypo allergenic, antibacterial and has anti-dust mite qualities. Providing a sleep environment that guarantees night after night of blissful sleep. 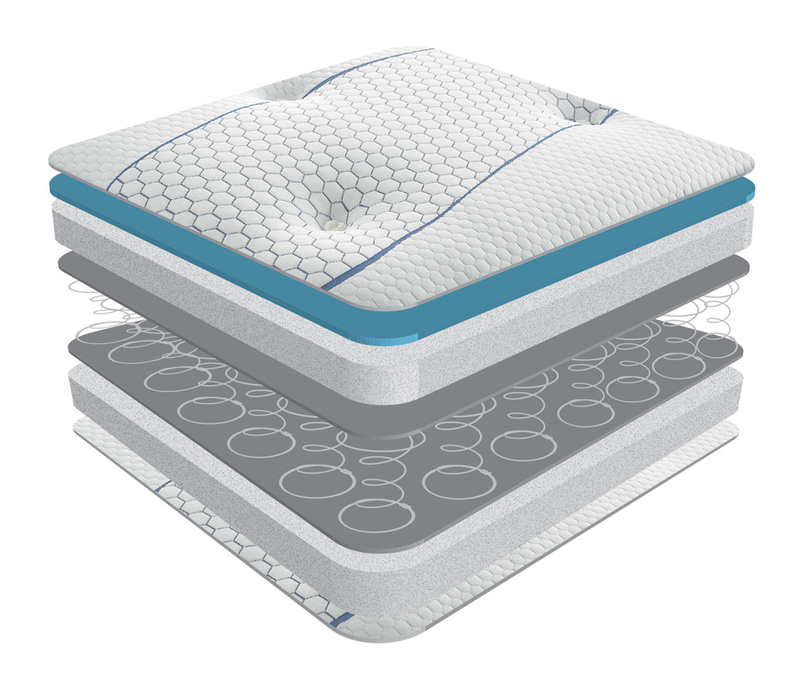 An advanced Memory-Foam CoolBlue™ has been developed and engineered to oﬀer the same ‘feel’ and pressure relieving properties as the equivalent density (75kg/m3) visco-elastic memory foam but without the associated heat discomfort. CoolBlue™ also features Ultra-Fresh™ anti-microbial protection for the ultimate in mattress hygiene. 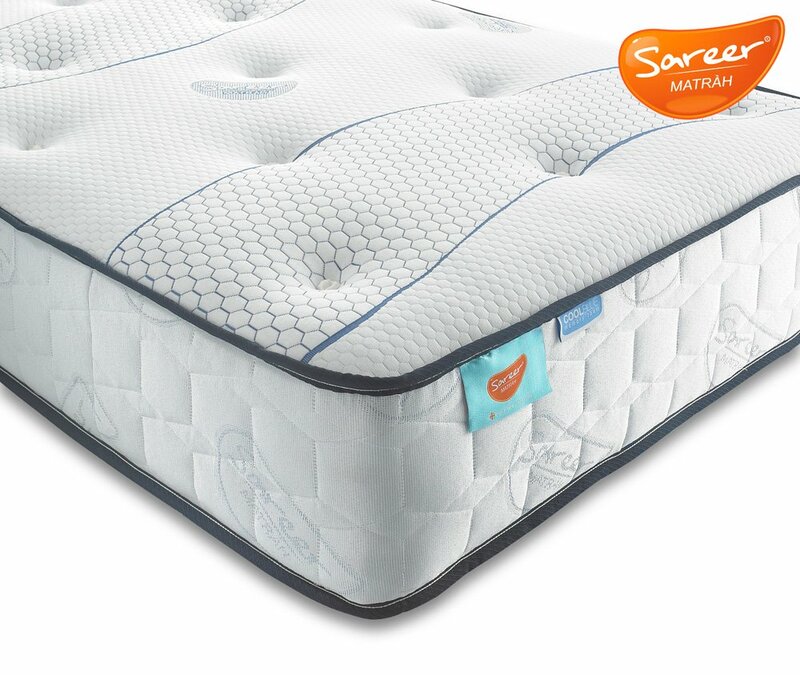 The top layer of Cool Blue Memory Foam moulds to the contours of your body, oﬀering gentle support to alleviate pressure point discomfort, adding to the luxurious feel with the soft stretch soft micro quilted cover on both sides.